Soothing, cool, and refreshing, peppermint oil smells great and offers many health benefits. Peppermint can ease congestion, support oral health, repel pests, soothe headaches, and even relieve stress. Peppermint oil is a must in your essential oil collection — especially if you like to create chemical-free, do-it-yourself home and healthcare products. Found in candy canes and peppermint candies at Christmas, or year-round in chewing gum, toothpaste, and soap, its culinary uses are well-known. But, don’t overlook the power of peppermint to naturally lift your mood and boost your energy levels. That’s one area where its capabilities might surprise you. Peppermint Oil: What Is It? Peppermint oil is extracted from Mentha x Piperita, also called Mentha balsamea, which is a hybrid plant between spearmint and watermint. Gardeners cultivate peppermint around the world, and you can sometimes find it growing in the wild. Commercially, peppermint essential oil is usually extracted through distillation of both the leaves and stems. The main components of peppermint oil are menthol (41 percent) and menthone (23 percent), which give it the familiar flavor and cooling sensation we know. However, peppermint oil also contains menthyl acetate, 1,8-cineole, limonene, beta-pinene, and beta-caryophyllene — these additional compounds account for even more health-promoting properties. With its enchanting taste and scent, peppermint oil has been used for hundreds of years to remedy a wide variety of ailments. You can use this therapeutic herb internally to combat indigestion and harmful bacteria or externally to soothe your respiratory tract and lungs or relieve aches and pains. 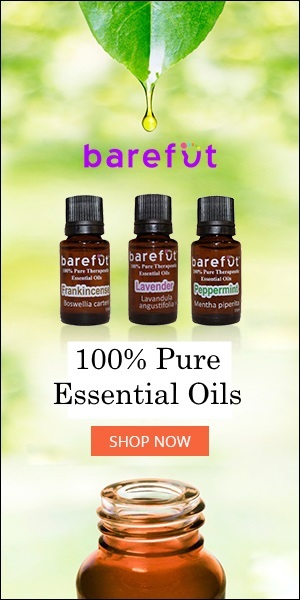 Essential oils have been used for centuries to boost mental and physical well-being. Peppermint oil is an excellent natural way to relieve stress, unhappy mood, and mental exhaustion while helping to restore focus and balance. This plant is also effective at soothing anxiety and restlessness. The active ingredient in peppermint oil, menthol, relaxes muscles and eases discomfort to provide relief from head pain. Because of its ability to inhibit muscle contractions while stimulating blood flow, diluted peppermint oil can soothe headaches and migraines when applied directly to the temples. The analgesic properties of peppermint oil help boost energy levels, focus, and concentration. It is tremendously beneficial to those with chronic fatigue syndrome and ADHD by helping to stimulate mental activity, clear the mind, and boost cognition. Interestingly, studies show that inhaling peppermint oil before a workout enhances exercise performance and endurance. Using peppermint oil can significantly and quickly promote normal upper respiratory health. The expectorant action of peppermint oil helps to clear occasional lung and chest congestion. For this reason, you’ll often find it in therapeutic lung cleansing balms you can rub on your chest. When you have chest congestion, rubbing diluted peppermint oil on your chest can help you feel great and breathe easier. The menthol in peppermint oil can relax the smooth muscles of your GI tract, which promotes healthy digestion. Many remedies for the symptoms of irritable bowel syndrome (IBS), including occasional constipation and bloating, contain peppermint oil. Many studies have found that peppermint may be the best choice to improve the quality of life for people with IBS. Try using peppermint oil in combination with caraway oil to manage symptoms of nausea or indigestion, including heartburn and gas. Peppermint oil resists bacteria and fungus, including Candida albicans. A study at Brazil’s State University of Campinas found that essential oils from three different peppermint varieties resisted Candida. Several studies have further documented the action of peppermint oil against fungus, which is owed to the camphor, menthol, and carvacrol. Thanks to its action against various types of harmful organisms, peppermint is among the most potent essential oils for battling the bacteria that affect oral health. In addition to freshening your breath, you can use peppermint oil topically to soothe a toothache. Peppermint oil may be used in a variety of ways, both internally and externally. Its antibacterial properties make it an excellent cleanser for both your body and home. You can also use it to relieve ailments ranging from bad breath to intestinal distress and even head lice. Here are the top ways to use peppermint oil. Peppermint oil’s unusual ability to simultaneously boost your energy while relaxing your senses makes it a favorite ingredient for aromatherapy. Many masseuses use to enhance relaxation during massage therapy. You can use the oil by rubbing a bit on your temples or neck or inhaling the scent. How to Use: Inhale the vapors directly from the jar, or put a dab on your wrist for a quick pick-me-up. Add a few drops to a diffuser to soothe your senses. Adding peppermint oil to your daily brushing or rinsing routine will make your mouth feel fresh and clean while banishing the taste of what you just ate. Try it after a spicy meal or before an important meeting. How to Use: Add a drop of peppermint oil to your toothpaste when brushing your teeth, or to coconut oil when oil pulling. To relieve bad breath quickly, dilute a drop or two in water and use as a rinse, swishing in your mouth for 30 seconds. Reap all the health benefits of peppermint oil while adding a natural minty flavor to your dishes and desserts. You can substitute peppermint oil for extract in your recipes — but be careful! Because it’s more concentrated and doesn’t evaporate with heat, a little goes a long way. Peppermint reduces nausea and can provide soothing relief for your tummy when used in foods. How to Use: Enjoy a peppermint mocha by adding a tiny drop of food-grade peppermint oil to your coffee with some cocoa, or add it to your favorite smoothie or chocolate dessert for an extra kick of minty flavor. Feelings of stress and tension often trigger headaches, including migraines, and peppermint oil is a natural and cost-effective solution. It also helps balance your sinus pressure, which can trigger headaches. Those who suffer from frequent headaches or migraines may find relief and achieve better circulation by massaging diluted peppermint into their temples and forehead. How to Use: Dilute two drops of peppermint oil with coconut oil and massage it into your forehead, neck, and shoulders to relieve tension and discomfort. To relax even further, relieve stiff, sore muscles, and clear sinus congestion, add three drops of peppermint oil and three drops of lavender oil to a warm water bath. While soaking, take deep breaths and allow feelings of calm to take over. Thanks to its anti-inflammatory, antispasmodic, and antioxidant effects, inhaling and consuming peppermint oil can help increase drive and respiratory function, enhance exercise performance and ease exhaustion in athletes. Consuming it is also an excellent natural way to boost your energy before working out. How to Use: Give your workout an extra boost by adding a drop of food-grade peppermint oil into your diet. Dilute .05 ml of peppermint oil in 500 ml of water for an energy kick. For a more complex pre-workout drink, steep a peppermint tea bag with two green tea bags in at least 500 ml of hot water. Add half a lemon, pour into a 1-liter bottle, and top it off with chilled water. Combining peppermint oil with massage oils, shampoos, body washes, and lotions can help soothe redness and swelling. It’s great for acne and skin irritation and provides welcome relief to sunburned or itchy skin. How to Use: For a soothing, cooling sensation, mix a drop of peppermint oil into body lotion or massage oil. For help with blemishes, combine a drop of peppermint oil with grapeseed or jojoba oil and massage directly onto acne. Apply peppermint oil topically for strong, healthy nails. It can also be used to remedy fungal imbalances on the finger and toenails (called onychomycosis). A recent study found that 83 percent of the people who applied a menthol-containing ointment to their nails experienced positive changes to their fungal infections— 28 percent had total clearance (the fungal infection was eliminated), while 56 percent had partial clearance. How to Use: Mix 2 drops of peppermint oil with 2 ounces of castor oil, dip each nail in the solution, then let your fingers absorb for a couple of minutes before rinsing. Peppermint oil is an excellent scalp stimulator that will add zest to your morning routine. Its tingly sensation wakes up your hair follicles and your mind. Peppermint can reduce dandruff, prevent hair loss and encourage hair growth and blood circulation to the scalp, even outperforming the FDA-approved hair growth products. How to Use: Add 2 or 3 drops of peppermint oil to your shampoo and conditioner, or mix with coconut, jojoba, or shea butter for a scalp massage oil. Leave the scalp treatment on for 15 minutes before rinsing. The active ingredients in peppermint oil ease the intestinal distress associated with colic. Colic is uncontrollable crying which usually afflicts babies under the age of three months. Studies show that peppermint oil may help relieve colic and reduce crying time. Use it sparingly to give your baby a better night’s sleep. How to Use: First, consult your pediatrician. If they approve, mix a tiny drop of peppermint oil with a carrier oil like coconut oil and apply to the baby’s chest and stomach area. Try using peppermint oil as an ingredient in your natural all-purpose cleaner. Its antibacterial properties make it an excellent natural disinfectant. Its minty scent leaves a pleasant, non-toxic odor. How to Use: Mix 1/4 cup of white vinegar, 15 drops of peppermint oil and 15 drops of lemon oil in a 16-ounce spray bottle. Fill with water, shake and spritz where needed on any surface where it’s needed, including toilets, counters, and floors. Menthol is a natural insecticide and makes an effective barrier against ants, spiders, ticks, and even mice. Peppermint oil is also a natural, chemical-free way to kill and prevent head lice, which some studies suggest may be more efficient than store-bought treatments. For Insects: To keep insects out of your home, put 3-4 drops of peppermint oil on a cotton ball or add 10 drops to a small bottle of water. Wipe doorways, baseboards, and window sills thoroughly, as well as other potential points of entry. For Lice: To kill head lice, mix 20 drops of peppermint oil with 4 ounces of rubbing alcohol in a spray bottle. With your head over the sink, saturate your hair and leave it on for at least 12 hours, then comb out and shampoo, rinse and repeat. For Ticks: If a tick has settled in your skin, stop its burrowing by dabbing it with a cotton swab soaked in a drop of peppermint oil diluted with coconut oil. Remove its head once it stops moving. Peppermint essential oil makes a great non-toxic air freshener for your home or car, getting rid of musty odors and creating an invigorating, refreshed environment. Instant rejuvenation is achieved when applied to spaces both large and small. How to Use: Add 8 drops of peppermint essential oil, 10 drops of wild orange or rosemary essential oil, 2 tablespoons of rubbing alcohol and a cup of water in an 8-ounce spray bottle. Shake and spray as needed. Or, add 2 drops of peppermint oil to a washcloth and place it on the floor while taking a hot shower to spread the scent throughout your bathroom. Ensure any food-grade peppermint oil you use is 100 percent pure and organic, steam-distilled, and includes its botanical name, Mentha piperita, on the ingredient list. Avoid essential oils premixed with alcohol as they can be irritating to the skin. Avoid synthetic fragrances — they don’t offer any health benefits. Always dilute oils with a carrier oil to help protect your skin; avoid contact with your eyes, and never consume essential oils that are undiluted. Large doses of peppermint may interfere with the absorption of iron, as well as other vitamins, minerals, and medications. If you have gallbladder disease, gallstones, chronic heartburn, or severe liver damage, avoid it altogether. When applied to the skin, peppermint oil may cause allergic reactions such as a rash, contact dermatitis, and eye irritation. Before you use it, perform a skin patch test — apply a few drops of diluted oil to your forearm, cover with a bandage, and wait 48 hours for any potential reaction. If you are pregnant, exercise caution with essential oils since they can cross the placental barrier and there is little clinical research in this area. The American Academy of Family Physicians recommends pregnant women not use peppermint oil, but it is most likely safe for a pregnant woman to use peppermint tea. Before using any herbs or essential oils during pregnancy or when nursing, check with a health professional first. Use of peppermint oil on children under the age of six should be approached with caution. Menthol, the active ingredient in peppermint oil should be completely avoided in children under two and used with caution in children of any age. Peppermint can cause adverse reactions in some children, including closing up the respiratory airways and causing difficulty breathing. Since the effects of essential oils are more concentrated on children, it is prudent to exercise extra care. Peppermint oil is extracted from a hybrid plant between spearmint and watermint. This essential oil does much more than mask bad odors with its pleasant scent. Its resistance to harmful organisms and soothing action make it an excellent skin and hair remedy, effective pest repellent, and natural all-purpose cleaner for the home. Its pleasant scent simultaneously soothes and energizes, making it ideal for aromatherapy. Only use peppermint oil as directed. When purchasing essential oils, always read the labels carefully to ensure they’re safe for skin contact or internal consumption. Always dilute with a carrier oil such as coconut or olive oil. Start by applying it topically to small areas and try a skin patch test. As with any remedy, speak to a healthcare professional about whether it is right for you.